Understanding and managing how humans and nature sustainably coexist is now so sweeping and lightening fast that it’s spawning a concept unveiled today. Joining its popular cousins telecommuting and television, telecoupling is the way Jack Liu, director of the Center for Systems Integration and Sustainability at Michigan State University, is describing how distance is shrinking and connections are strengthening between nature and humans. There’s a delicate, complicated dance between tigers and people in and around the Chitwan National Park in Nepal -- a dance that's duplicated across the world where wild animals and people share a backyard. Call it the human-nature tango. Eleven up-and-coming scientists studying the relationships between human and natural systems will mine the American Association for the Advancement of Science annual meeting this month for ideas, partnerships and inspiration as part of the CHANS Fellows program. Jianguo "Jack" Liu, principal investigator of CHANS-Net, has been named a fellow by the American Association for the Advancement of Science. 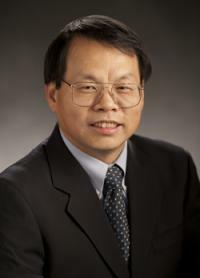 Liu is a Michigan State University Distinguished Professor of fisheries and wildlife who holds the Rachel Carson Chair in Sustainability and is director of the MSU Center for Systems Integration and Sustainability. He was honored for his pioneering research that integrates ecology, various social sciences and policy to understand and achieve environmental sustainability at local, national and global scales. EAST LANSING, Mich. -- The downsides of China’s explosive urbanization – like pollution and greenhouse gas emissions – now are joined by an upside: Better environmental citizens. The CHANS community lost one of its leading scholars recently with the passing of Steve Schneider of Stanford University, a co-author of the foundational CHANS works published in Ambio and Science. A touching memoir by colleague Paul Ehrlich appears in the August 13 issue of Science. CHANS-net hosted a special symposium on "Complexity in Human-Nature Interactions Across Landscapes" at the 2009 conference of the US-IALE (U.S. Regional Association, International Association for Landscape Ecology) April 14-16 in Snowbird, Utah.